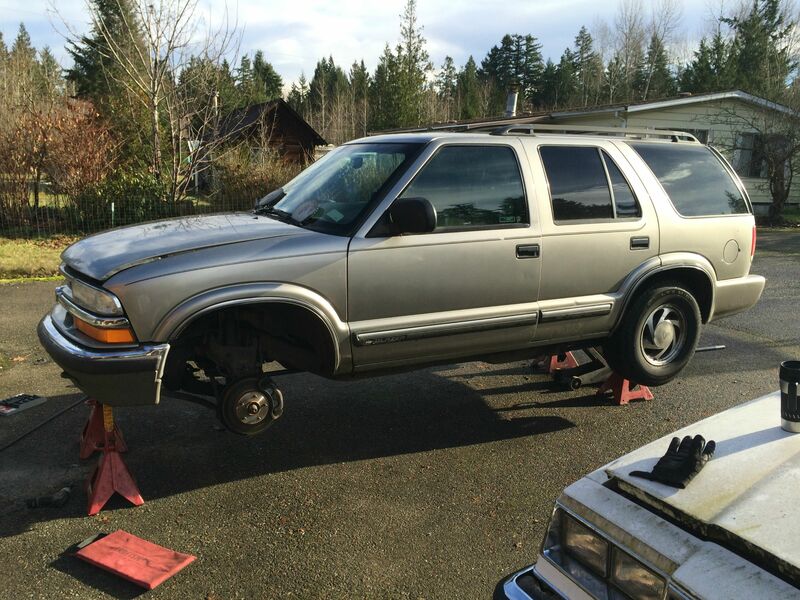 I finally got around to my big project for the fall, rebuilding the front end of my wife's 2000 Chevy Blazer. It's got about 223,000 miles on it now with all of the original hardware. 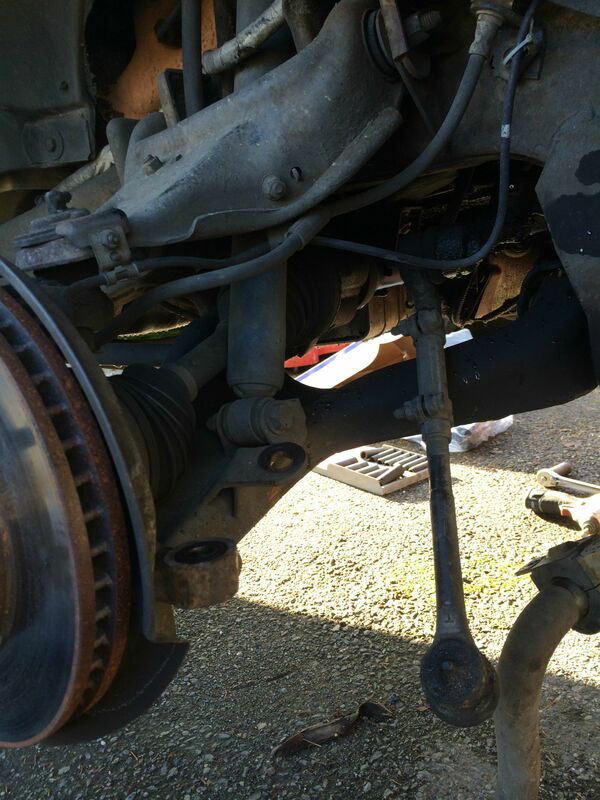 The ball joints and tie rod ends were loose, the bushings were all dried and cracked, the sway bar links were starting to crumble, the Pitman arm was loose. I ordered all the parts from RockAuto.com and replaced everything with my buddy Alex over the course of about three days. Last edited by Toby Hanson; 01-08-2015 at 01:03 AM. Nice pictures. That thing should feel totally different on the road now. Nice looking ride! 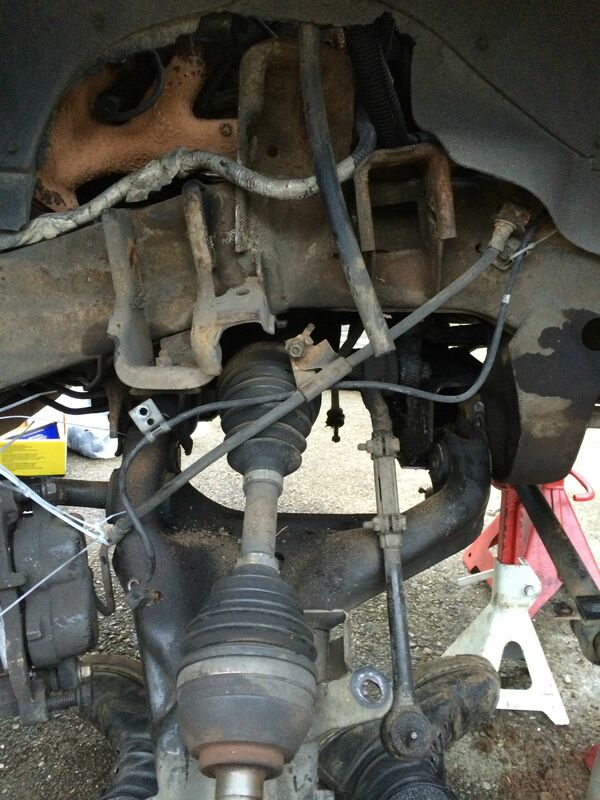 In the last picture: New control arm & bushings, good job! 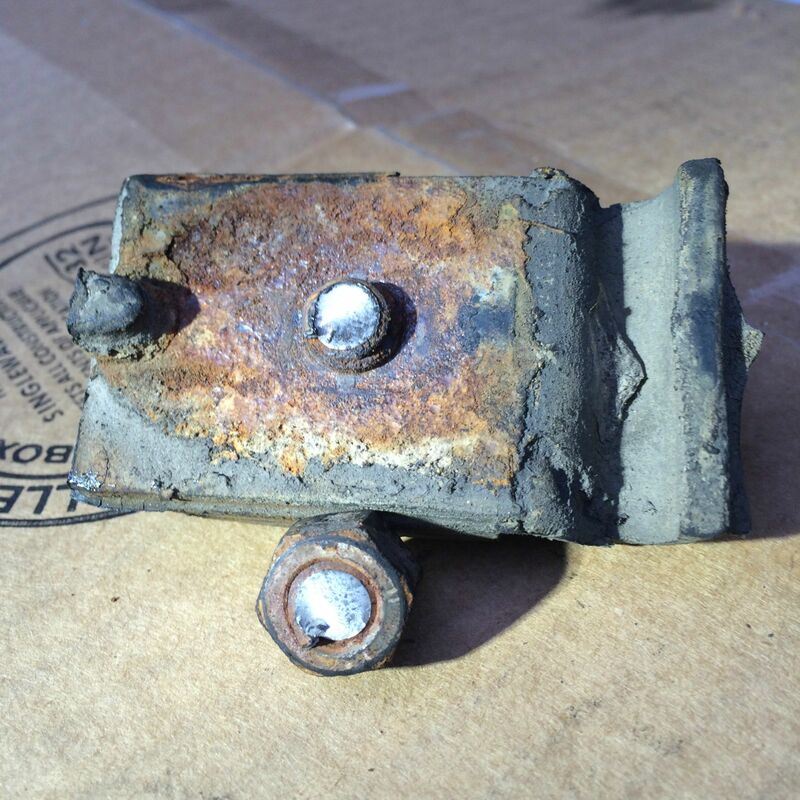 Did you have fun getting the cam bolts out? 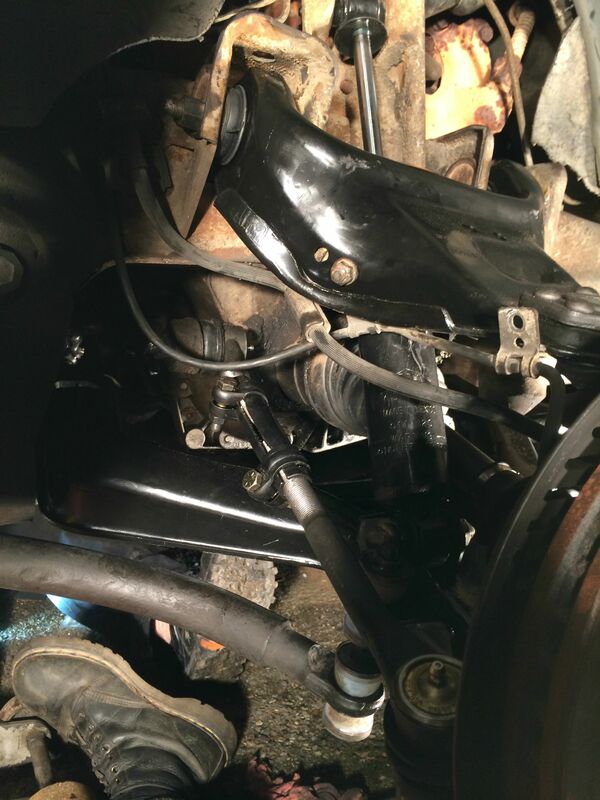 Don't expect the upper ball joints that came with the control arms to last more than 6 months or so at the most, very cheap quality, and no grease zerk. If it's in the budget, stick some Moog's in there now. 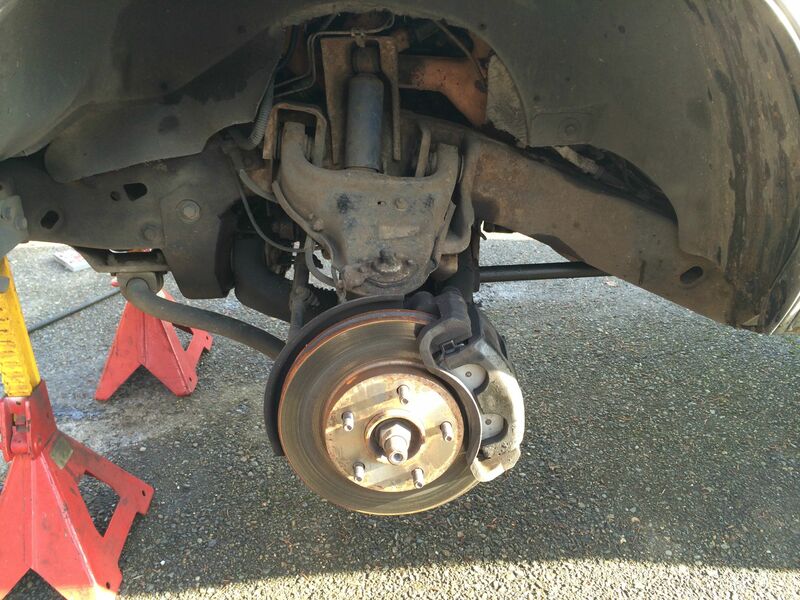 Don't forget to replace the rubber bumper on the underside of the arm, (cheap at the dealer) Before you take it in for a wheel alignment, check and adjust front chassis ride height. Let us know if you need the procedure and specs. Looks good, keep up the good work! I have an alignment guy that I trust at a local shop. I told him today when I dropped the truck off that I wanted him to check the ride height since I'm never sure that I got the torsion bars tightened down quite enough. I replaced the rubber bumpers on the underside of the arm since they crumbled in my hand as I was working on it previously. I just went ahead and ordered those so I had them on hand when I did the control arms. 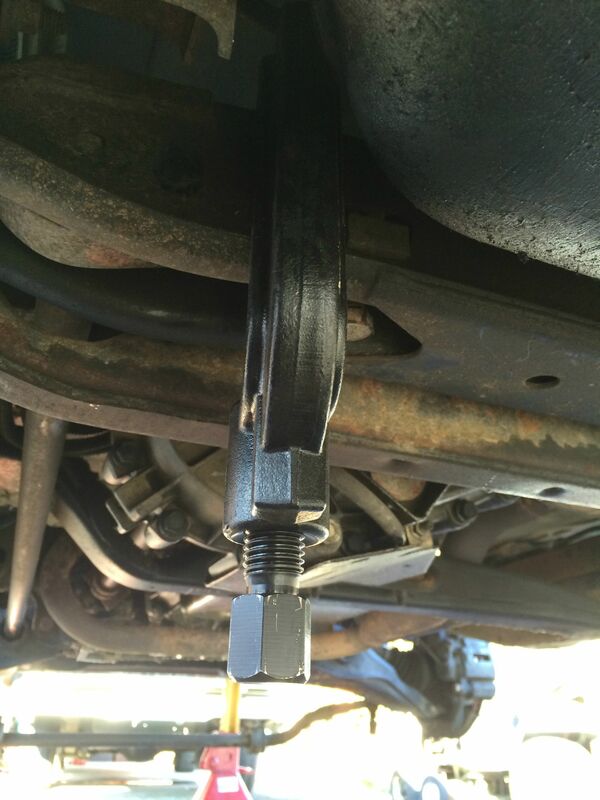 I know those ball joints won't hold up for a lot of serious use. My wife drives her Sunfire regularly for her commute so the Blazer doesn't get too many miles on it at the moment. I keep it around for when I need to haul more stuff or when we want to take the whole family somewhere and I don't feel like licking my kneecaps while riding shotgun in the Sunfire. 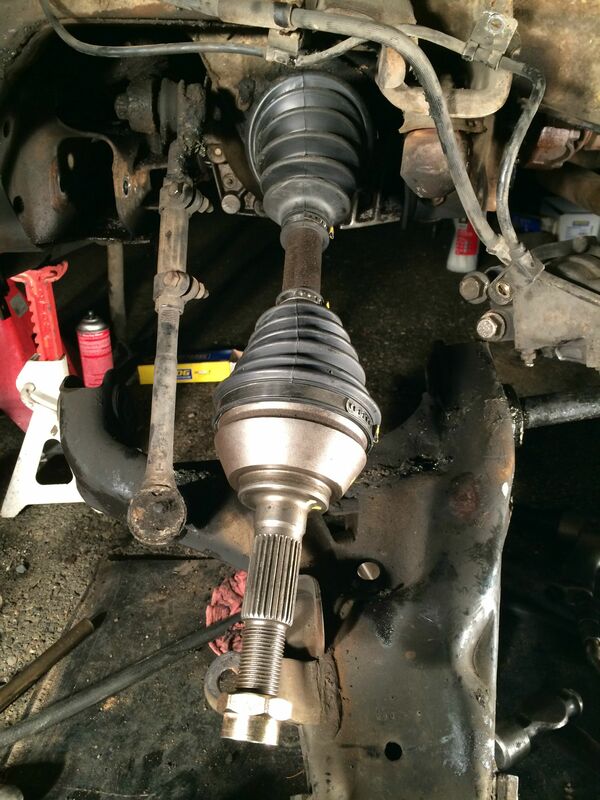 I imagine I've got a year, tops, with those ball joints, at which point I'll probably pop in some decent Moogs. 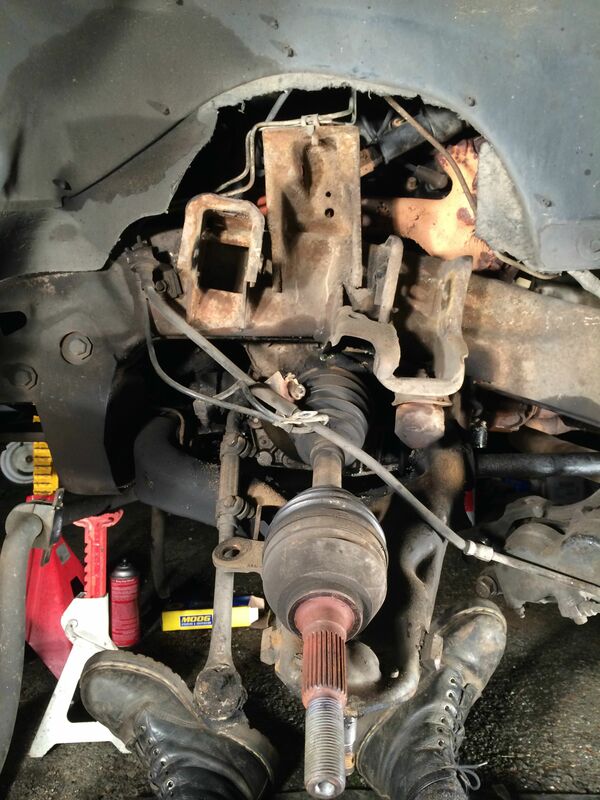 I've gotten pretty quick at changing out the ball joints on these trucks. I should get it back from the shop in the morning with a fresh alignment. Then all it needs is a few small electrical gremlins squashed and then the ever-popular hinge pins and bushings and it will be ready for a road trip to Yellowstone next summer. I used the Raybestos pro grade ball joints when I did mine. I have had no issues with them so far.